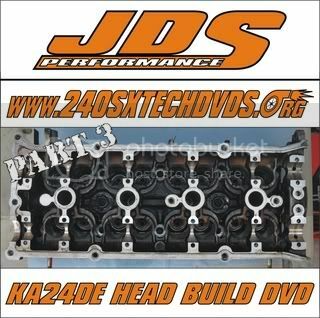 / Hi, JDS Performance here.I am advertising my 240sx Tech Videos on NICOclub once agin.I have many to choose from.If you have any questions, feedbacks ect - post away! You can always check my website for updates, news, Free FSM Downloads and so much more! Click links to view full details as well as sneak peeks. Reason being - We installed a set of eBay knock-offs on a s14 chassis and had huge issues with the install - and found so many ways to make the design so much better and easier to install. So it was a no brainer to redesign them. - No more Custom Rubber Inserts! 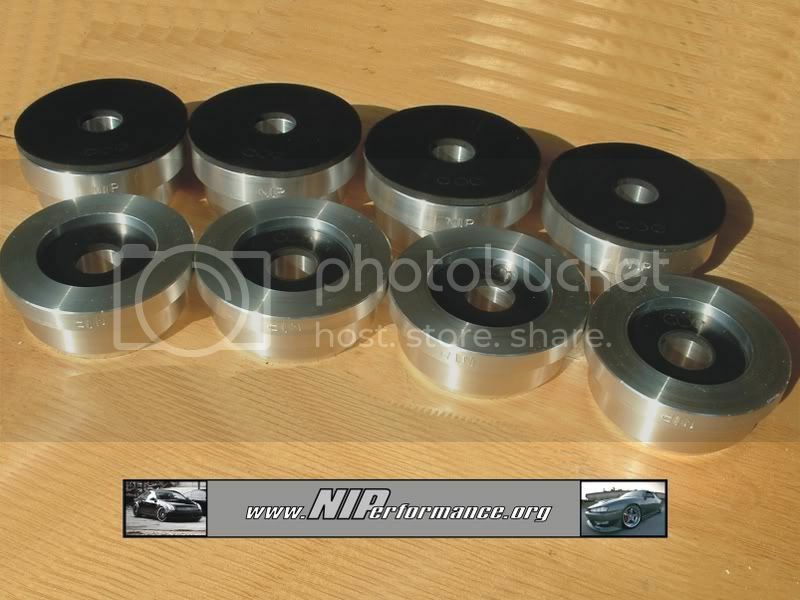 - No these are not knock-offs of other designs - These bushings are made to our our designs specs. We are starting up this venture to make better design products as well as new designed products. That we will test ourselves on our own cars. So you as the buyers don't have to be the test pilots. We will strive in making products that perform up to the tasks at hand. We will not put a product out that we feel will not perform properly. We are not here to turn a profit (not just yet anyways). We want to build a relationship with the community so that maybe one day we can have a very successful business. Last edited by JDS Performance on Sun Sep 12, 2010 3:52 pm, edited 4 times in total. New Sale prices for Christmas! Can u send me a link to a vid that shows how to rebuild a KA24? Melda240 wrote: Can u send me a link to a vid that shows how to rebuild a KA24? There is one on KA-T .org - not sure of the link? Just type it in Google I am sure there will be plenty to choose from. 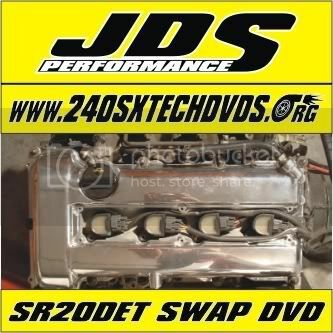 Some guy on ebay sale a DVD on rebuilding the SOHC KA - its a good video to have and the price is just right. go to ebay and type it in the search. Sale ends Jan. 25 2008! Sale extended to Feb. 28 2008! Sale extended to March 28th 2008! Finished - ready to ship out! Awsome let us know what you think! awesome bought the 5 speed swap dvd last night on ebay. looking forward to seeing it! WATERSxCORE wrote: awesome bought the 5 speed swap dvd last night on ebay. looking forward to seeing it! cool deal let us know what you think. Thanx! alright I will do, when I source all my parts I will start a thread about the swap and hoping that the dvd will give me some great help, I will post that jds performance dvd helped! How easy it to follow this video? Can a retarded 16 and 17 boy do this with all the right equipment and attitude? reodan92 wrote: How easy it to follow this video? Can a retarded 16 and 17 boy do this with all the right equipment and attitude? Well usually "reaterded people" are not capable in most situations. The videos are pretty easy to follow (I think) and my buyers have told me as well. So yeah anyone willing and someone that knows what a wrench is and how to use it - should be just fine.